Attorney General Jeff Sessions announced Monday that he was ordering immigration judges to tighten asylum restrictions involving people fleeing domestic battery and gang violence. Sessions ruled Monday in a Board of Immigration Appeals case involving a woman from El Salvador whose asylum status was upheld in 2016 on claims that she was a victim of domestic violence. 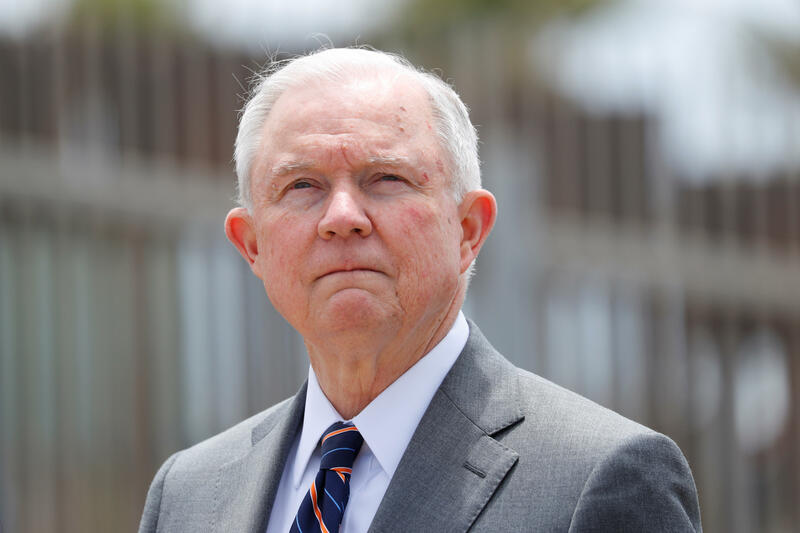 "Generally, claims by aliens pertaining to domestic violence or gang violence perpetrated by non-governmental actors will not qualify for asylum," Sessions said in a ruling that will be binding for immigration judges. "The mere fact that a country may have problems effectively policing certain crimes — such as domestic violence or gang violence — or that certain populations are more likely to be victims of crime, cannot itself establish an asylum claim. Sessions' move was quickly denounced by advocates for asylum seekers. "The reach of this unilateral and unchecked decision cannot be understated," Luis Mancheno, an immigration attorney at the Bronx Defenders, told CBS News. "In his decision today, the Attorney General has singularly precluded victims of horrific forms of violence from accessing the protections of our asylum system, effectively vitiating years of immigration law from Congress and the courts. This administration's shameful anti-immigrant policies, including today's decision, continue to imperil the lives of our clients and must be denounced." The decision comes as no surprise, three months after the attorney general reopened the case for his review. In 2014, the Board of Immigration Appeals (BIA) had ruled in a groundbreaking decision that domestic violence could be a basis for an asylum claim. "Depending on the facts and evidence in an individual case, 'married women in Guatemala who are unable to leave their relationship' can constitute a cognizable particular social group that forms the basis of a claim for asylum," BIA said in its decision. Asylum is granted on grounds of persecution for race, religion, nationality, political affiliation or membership in a social group. Many victims of domestic and gang violence seek protection on grounds of being in persecuted social group. Sessions became President Trump's attorney general after years as an immigration hardliner in the U.S. Senate. In a speech earlier on Monday, Sessions told immigration officers that "asylum was never meant to alleviate all problems — even all serious problems — that people face every day all over the world."